Designed for more than 160 ocean, land, and atmospheric analysis applications, the Oberon-XL ground station is a comprehensive and turn key remote sensing solution. The Oberon-XL ground station gives you the tools you need to collect data from a wide range of polar-orbiting environmental observation satellite systems, including those operated by NASA and NOAA, and analyze that information depending on the system configuration that fits your specific needs. Covering land, sea, and air, it provides the highest-quality imagery and sounding data profiles for use by meteorological, oceanographical and disaster-relief agencies, military applications, and research organizations. Integrated software offers both high- and low-resolution options for the collection and processing of X and L-band data, and provides baseline services in a seamless manner. 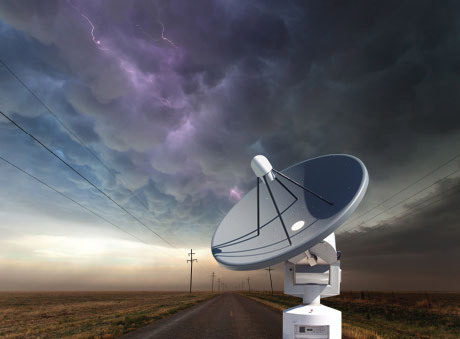 From manufacturing and engineering to final installation and training, the Oberon-XL ground station is a turn key system created specifically to deliver the complete picture from meteorological, environmental, and military direct-broadcast satellites. Approved for European applications and designed to meet those specifications, Oberon-XLE offers the exact same robust and comprehensive applications as the Oberon-XL system.